Welcome to C.R. 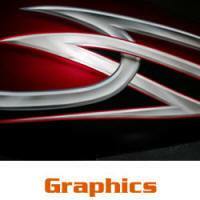 Designs custom motorcycle painting, if you are looking for a custom motorcycle paint job your at the right place! 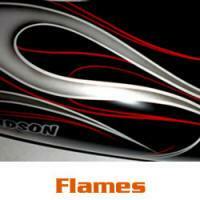 We paint custom motorcycle paint sets for your Harley-Davidson on your existing motorcycle parts. Or if you want to keep riding while we are painting parts for you, we can paint the design of your choice on either new Genuine OEM Factory sheet metal from Harley-Davidson or on used Harley-Davidson sheet metal when available. This way the only down time you will incur is during the installation process. When we paint on new or used OEM sheet metal, you'll be at ease knowing your new paint set will fit as well as it did from the factory. As you explore our wide variety of designs you can find upfront pricing for each design for your model of motorcycle, as well as different options for all types of budgets. 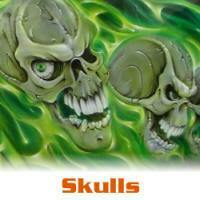 Skulls, realistic fire, flames, graphics and custom airbrushing are just the beginning. Check out our gallery of designs to see the endless possibilities we can paint for you. If you don’t see a paint design that you like? Then we are more than happy to paint your bike anyway you like. If you have an idea or a picture, just let us know and we’ll make it a reality. 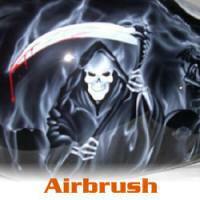 We want you to be as proud of your bike's custom paint job as we are to paint it. 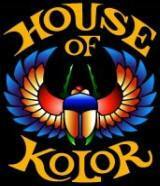 We use vibrant colors from the leader in custom motorcycle paint House of Kolor and PPG. 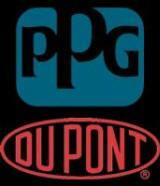 All of our paint sets are backed by a Money-Back Guarantee and a 2 Year limited warranty. Our easy to use website with thousands of pictures, as well as up front pricing allows you to shop at your convenience 24 hours a day. C.R. 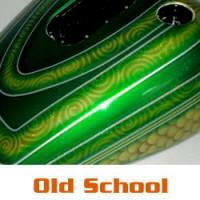 Designs offers FREE SHIPPING of your completed custom paint set in the lower 48 states. If you are thinking about buying a new motorcycle, you can purchase one of our custom paint sets on a new bike from many reputable motorcycle dealers around the country. 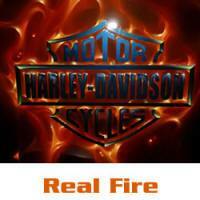 Please refer to our Where You Can Buy page for a list of these motorcycle dealers. Call us today to discuss all your ideas!!!!!!!!! !